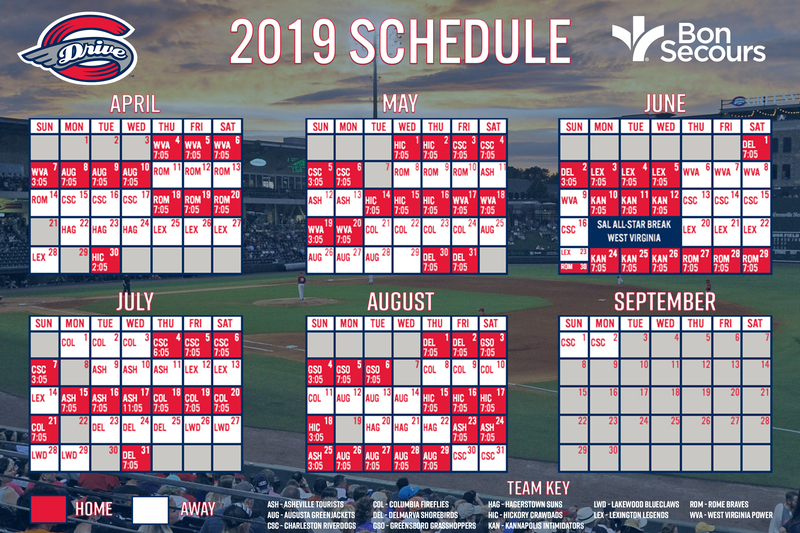 Greenville, SC - The second game of Tuesday's scheduled doubleheader between the Greenville Drive and the Asheville Tourists at Fluor Field was suspended in the top of the third inning due to inclement weather. The game will be resumed at 4:30 PM with the Tourists leading the Drive 4-1. The game will be completed through seven innings. Wednesday's regularly scheduled game will begin at approximately 7:05 PM, and it will now be scheduled for seven innings in length as well. The Green Day festivities, including recognition of Stewart Spinks, will occur during the night game on Wednesday, and postgame fireworks are scheduled following Wednesday night's game as well. 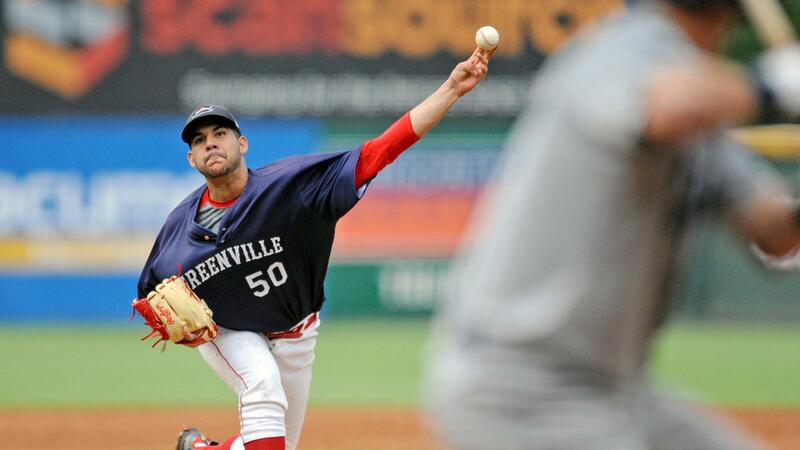 The Drive (22-16, 47-60) used a complete game shutout from Enmanuel De Jesus to defeat the Tourists (17-19, 44-61) by a 6-0 score in the opener on Tuesday. De Jesus (5-3) was dominant from start to finish, as the southpaw struck out seven in the seven-inning contest while allowing just three hits and no walks. He is now the second pitcher in Drive franchise history to throw two complete games in a single season, matching Denyi Reyes, who has also accomplished the feat this year. Garrett Benge delivered an RBI single in the bottom of the first inning to put the Drive ahead 1-0, and the offense came alive in the fourth for five runs against Nick Kennedy (2-12). Back-to-back triples by Tanner Nishioka and Jordan Wren got the outburst started, and Wren came home on an RBI single by Everlouis Lozada. Later in the inning, Marino Campana crushed a three-run triple to center, the third three-bagger of the frame. Following the completion of Tuesday's suspended game, left-hander Jhonathan Diaz (7-6, 3.59) will take the mound for the Drive on Wednesday night.